The Experience A string orchestra, a gourmet feast, special guests and candlelight. Everything we love in one lovely place! Your Salonnières Amy, Cat and Rose, coming as they do from the professional worlds of music and gastronomy, have been inspired to host a soirée….. A unique take on the salon concept, an exciting platform for music and the arts whilst dining in a beautiful candlelit Victorian concert hall. 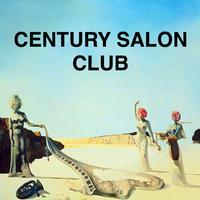 In our very first Century Salon Club, the resident classical Schiaparelli String orchestra, drawn from London’s finest musicians, will also be joined by Ed Harcourt and other special guests. A delicious four course sharing menu has been specially designed with wines matched by our wonderful Jack Chaddock of O W Loeb. Please come along and share this special evening with us. This was a fabulous event. The music and food were both excellent and the atmosphere was fun and relaxing. Will certainly book tickets for any future event. Thank you.